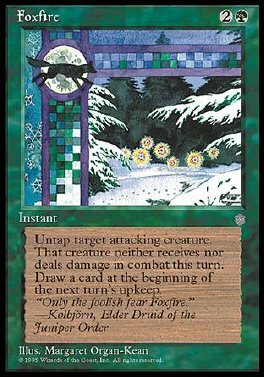 Untap target attacking creature. Prevent all combat damage that would be dealt to and dealt by that creature this turn. Draw a card at the beginning of the next turn's upkeep.